Featured in Chicago Agent Magazine Who's Who in Real Estate 2018, 2017, 2015, and 2014. Amy's Team is fluent in English, Japanese, Korean, Vietnamese and Tagalog. Amy Duong Kim is an alumna of University of Illinois Urbana-Champaign with a Bachelors of Science in Actuarial Science. After three years of actuarial consulting, she left the corporate world to pursue a career in real estate. In 2005, she joined her family’s boutique brokerage that always strived for attentive service, tough negotiating, and the utmost professionalism. The following year, Amy Duong Kim became the managing broker to further instill these values in her own practice as well as her team. Prior to joining Compass, Amy was with Jameson Sotheby’s International Realty, where she provided her clients with a well known trusted brand, while still providing the same level of commitment to her clients. As an International Advisor & Senior Broker, Amy and her team have closed over $300 million, expanding to luxury properties throughout Chicago and the surrounding suburbs and advising international buyers from all over the world. Now with Compass, Amy and her team are excited to share all that Compass has to offer her Chicago and surrounding suburb clients. Amy Duong Kim has received accolades from the Chicago Association of Realtors, Chicago Agent Magazine, Jameson Sotheby’s International Realty, and five star reviews on Yelp, Linkedin, and Zillow. She has been featured in the Wall St. Journal, Curbed.com, Yahoo.com, NBC, ABC, and the Chicago Tribune. 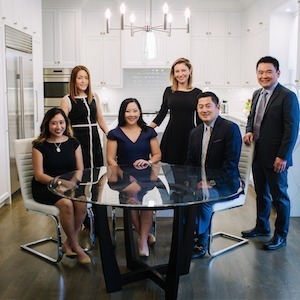 Discover how Compass Culture helps agents like Amy Duong Kim connect more efficiently with the Chicagoland communities she serves.